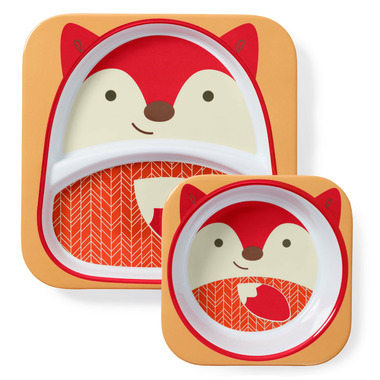 Skip Hop Zoo Melamine Set makes mealtime Zoo time! Little ones will love having their very own plate and bowl featuring their favorite Zoo character! 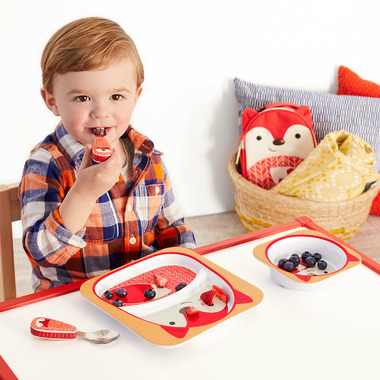 Bright colors and whimsical faces make mealtime fun. The collection is perfect for mixing and matching! I love the design and colours of this set. I also like that the larger plate is divided to keep watery foods separate. Another great Skip Hop product!